What happens when Crystal, a gay junkie drag queen, falls head over high heels in love with Jonathan, a straight, young expat fashion model? In an age of liquid sexuality anything can happen, and with a shared love of crystal meth, it almost does. Rye Bautista's powerful and moving portrayal of addiction and the havoc that crystal meth wreaks on people’s lives is not to be missed. 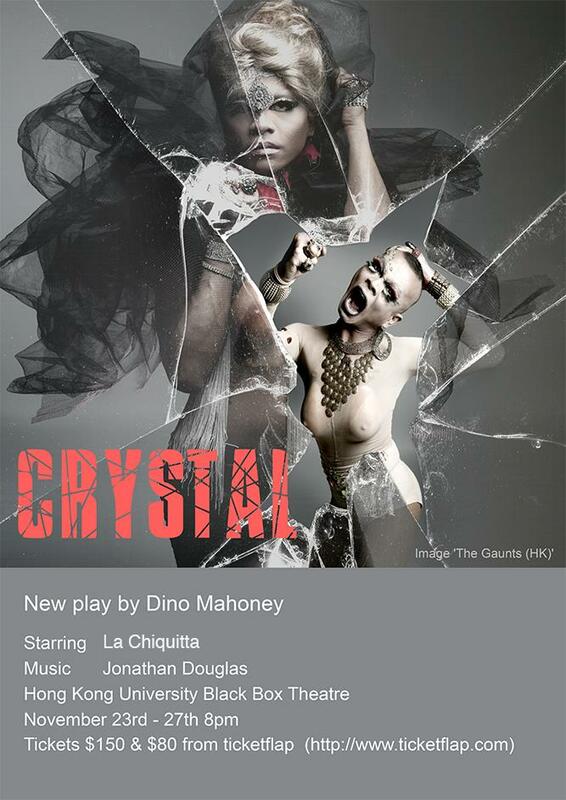 Set in Hong Kong, CRYSTAL is a blistering new play by Hong Kong playwright Dino Mahoney, starring Rye Bautista (also known as La Chiquita), with original songs and piano accompaniment by Jonathan Douglas (RTHK Radio 4).